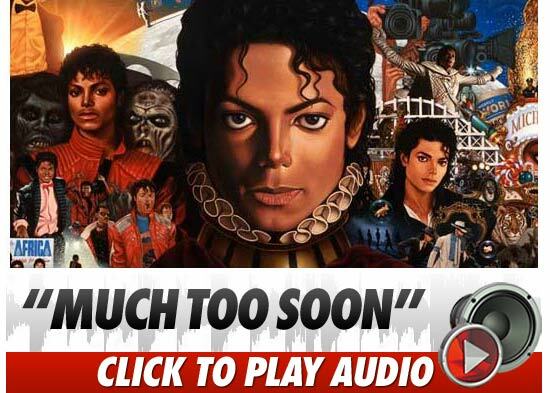 A new Michael Jackson's song with the title, "Much Too Soon" was just revealed on iTunes. The song was written by MJ around the time he did the "Thriller" album. ccording to the iTunes description, "Michael always liked it but never found the right home for it." MJ's always a perfectionist..and that's what we fans love about him. The song will be featured on the upcoming album "Michael," which is scheduled for a December 14 release. I'm sure it'll be a hit as this is the last of the last one from MJ.